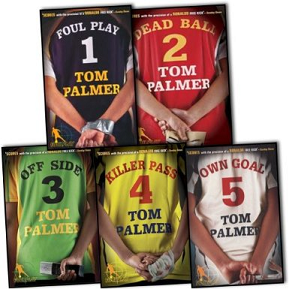 The Foul Play books are about a fourteen-year-old boy called Danny Harte who wants to solve football crimes. In the first book Foul Play, Danny stumbles across the kidnap of his favourite player and it all starts there. Watch me read from Chapter 1 of Foul Play here. Email me here if you have read the whole Foul Play series and receive a special signed certificate from me. There are more free reads here. Emily Palmer (no relation!) 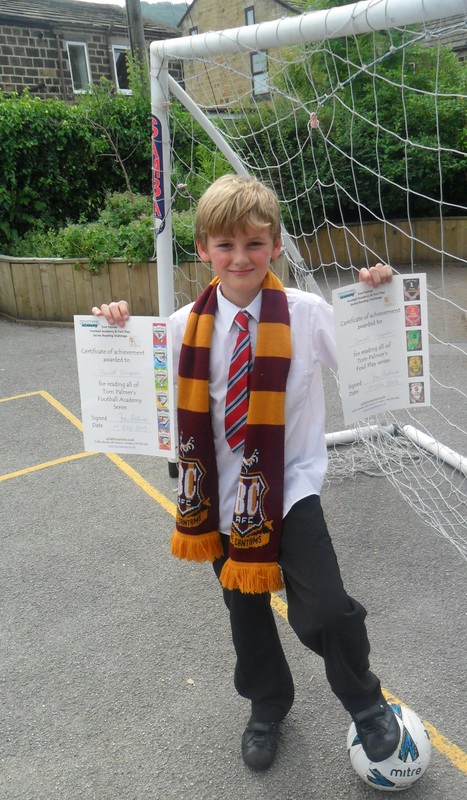 from St Michaels RC School was the winner in the Highly Commended category for her review of Foul Play by Tom Palmer. 2014 Foul Play chosen as one the 100 readformyschool titles. There are more awards here. Why did you decide to write about football and crime? Everyday you read the newspapers or listen to the radio, there are crimes in football. Some chairmen are thieving from clubs. Certain players have some really bad habits and mix with notorious criminals. And a few football agents are terrifying. I love football and hate this side of the game, a side that has nothing to do with the fans. I wrote the series because I love crime stories and I love football. I wanted to write something that would be a cross between Match of the Day, and Alex Rider. Something exciting, realistic and about football. What cases does Danny solve in the series? Danny takes on a dodgy football chairman and burglars in Foul Play, then a Russian billionaire in Dead Ball . In Off Side he takes on a corrupt football agent and in Killer Pass, Danny tackles a burglar of footballer’s houses. Finally, in the latest book in the series, Own Goal, Danny heads to Italy to tackle a worldwide football scam. 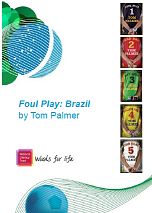 T o celebrate the World Cup in 2010 and 2014, The National Literacy Trust commissioned two Foul Play stories. A very big thank you to the tens of thousands of children who listened to their teachers read the story every day in their classrooms. Read Foul Play : Brazil 2014 in full here. Read Foul Play : South Africa 2010 in full here. “Danny Harte is the Football Detective” a new Reading for Pleasure pack to accompany the Foul Play series. Includes Anton Holt Interviews Tom Palmer, Foul Play Discussion Topics, Foul Play stories, My Own Foul Play Story, My Foul Play drawing, Book Reviews, My Book Review. based on Dead Ball – my Russian children’s thriller (useful for linking to the 2018 men’s football World Cup). Foul Play 3 : Offside – Fair Play Pack. 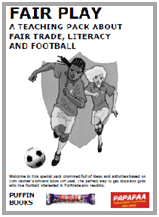 Learn about Fair trade, football and literacy, based on my research trip to Ghana to write Foul Play 3 : Offside. An insight into how writers write based on the book Foul Play 5 : Own Goal. Includes : Research; Creating Characters; Themes; Writing; Blurb and Film Trailers. Each section has a short introduction, discussion topics and a writing project. I also have certificates I can sign and dedicate for pupils who have enjoyed the pack. More Literacy resources for all my other books are here. The first Foul Play book was originally part of a series called the Football Detective. The original Foul Play book featured a shiny silver cover. Dead Ball quickly followed with a metallic red cover and a cut out of Danny running away from Moscow’s famous St Basil’s cathedral in Russia where part of the book is set. Then the name Foul Play caught on and that became the new name for the whole series. Puffin gave Foul Play and Dead Ball new jackets and designed a new logo. I hope you like the new name & covers. Have you noticed what is in each of the player’s hands? Email me here for more information about any of my books.